You can purchase tickets using the GATHR platform. Please use the map below to find a screening near you. This map includes both Tour Stops and Community Screenings. Click here if you want more information on our 2015 U.S. Film Tour. The Trace Amounts Filmmakers are traveling the United States and hosting tour stop film screening events with special guest speakers. This tour is underway and culminates during Autism Awareness Month in April. Watch our Film Captain video to learn how you can make a difference in your community! If you would like to Host Your Own Screening, or if you would like to be notified when a screening comes to your area, please click on one of the buttons below. Thank you for your support of Trace Amounts! 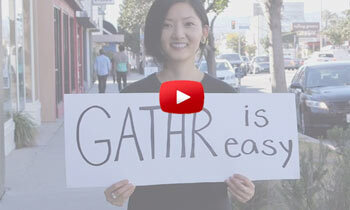 Gathr® is a brand-new service that allows you to bring the movies you want to a venue near you. It’s what we like to call Theatrical On Demand®. Our simple goal is to unite you, the movie-lover, with the films you want to see, right in your neighborhood. Movies are meant to be seen in a theater with a crowd. How do Gathr screenings happen? Gathr screenings can only happen if a minimum number of people reserve tickets before a screening request expires. On every screening page you’ll find an update that shows you the number of current reservations, the number of additional reservations needed to tip the screening, as well as how much time remains before that screening request expires. To see ALL our screenings, please use the Gathr map at the left.